BlogHome » Happy Birthday, ISO Certification Service! ATC’s ISO Certification Service is one year old. Congratulations and thank you to the quality-minded companies who have gained certification with us! And what a year it has been. If anything, it has cemented our belief that there is a real need for a language industry expert service that offers added value to LSPs. But we haven’t just taken your money. We have kept our promise to use our resources to promote language industry standards. We’ve ran webinars, masterclasses and an ISO 9001 internal auditor course. 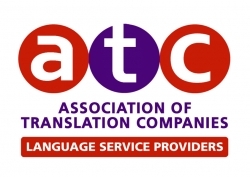 We’ve continued to represent the ATC in the development of future language industry standards. And we’ve worked together with other industry associations. To date, over 450 translators, members of the Institute of Translation and Interpreting, carry an approved ISO 17100 Qualified Status, visible with a badge in their online profile in the ITI member directory. We’ve also ran joint webinars with the EUATC, with our final broadcast in January. What this means is that all ISO qualifications have been vetted and confirmed to comply with the qualification requirements of the translation services standard ISO 17100:2015. What it really means, for ISO 17100 certified LSPs, is that their vendor manager no longer needs to verify the translator’s qualifications, or have sight of their degree certificate, because the ITI has done the heavy lifting already. The Demand for Farsi Translations is About to Go Boom! Are you Ready?